Open Source Software—yes, we did coin the term (thanks Christine Peterson) and started the movement—is software that can be freely used, changed, and shared (in modified or unmodified form) by anyone. Thirty-five years ago when Richard Stallman decided that he could no longer tolerate proprietary software, and started the free software movement, software freedom was misunderstood and dismissed. Twenty years ago a group of free software advocates gathered in California and decided that software freedom needed to be brought to the business world. The result was a marketing program called “open source”. That same month, February 1998, the Open Source Initiative (OSI) was founded as a general educational and advocacy organization to raise awareness and adoption for the superiority of an open development process. It is said, whenever you start a revolution first they ignore you, then they laugh at you, then they fight you, then they join you. People did laugh at the idea of free software, they questioned the quality of the software, the feasibility of the development model, and the commitment of the community. English-speaking people only heard the word “free” as in no money, and they laughed at the idea of software being created without cost or payment. With the launch of the open source marketing program people fought us. SCO fought very strongly. It tried to kill off Linux. Microsoft tried to kill open source, conspiring in something called the Halloween documents. Yet today they’ve joined us—open source is eating the software world. As the vast majority of users and developers believe, open source improves your efficiency in software development, it leads to and eases interoperability, and fosters higher quality software delivered faster and cheaper. Businesses find open source software fundamental to infrastructure, as well as a critical factor for driving innovation. But we’re also facing the next 10 years of open source. The first 10 years of open source were dedicated to advocacy and controlled by controversy. In the second 10 years we saw adoption and even ascendancy within many sectors. Ahead, in the third 10 years, the goal is assimilation, and the expectation is authenticity. Over the next ten years, the OSI anticipates open source communities to gradually change. The first decade was characterized by enthusiasts or hobbyists—a hacker community—devoted to developing specialized tools or projects to replace off-the-shelf software. In the second decade open source focused on components, and was dominated by single-project specialists (i.e. individual companies, or non-profit organizations). The third decade will be dominated by generalists—businesses, consortia, and foundations—that work across many open source communities, integrating them and their outputs. We also saw the first decade dominated by the search for “the open source business model.” We may never have found it, just companies that started up and tried to control us through their business. During the second decade, businesses focused on services supporting their internally-developed open source products. Over the next decade businesses will sell (and hire) the skills to assemble, integrate, and operate the component parts that characterizes today’s businesses like Google and Facebook and Twitter—every business will face complexity, and scaling that complexity in production. Open source succeeded because the OSI first defined open source (thanks Bruce Perens & Debian), then standardized licenses. What we'll see in the next decade is the consolidation of licenses, and sadly, we expect to see abuse of the open source software label (i.e. fauxpen source and openwashing). We will see a stabilization and a shrinking of the number of licenses in use, because of the need to manage ecosystems of complexity. 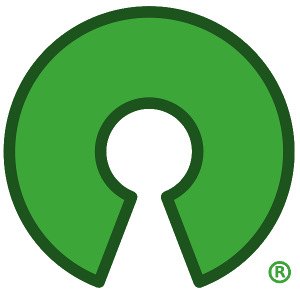 In the third decade of open source, we will rediscover software freedom. We allowed ourselves to be divided—the free software and open source communities—and pretended there was a difference between the two, but there is not. They are both expressions of software freedom and we're going to rediscover that in the next 10 years because we will be forced to solve problems with new models: cloud computing, the Internet of Things, manipulation of Big Data, Blockchain, 5G, etc. As we solve those problems we will discover that it is vital to go back to the Four Freedoms, ensuring software is free to use, that it is open to study, that it may be freely changed, and that it may be equally distributed. Finally, the OSI has a future as well. The OSI has been crystallizing consensus for the last 20 years, and we're committed to that work. Our support for continued growth, in both open source software and the communities that enable it, will change. “Open Source has won” so the need for combating "fear, uncertainty and doubt," the propaganda that questioned open source software’s viability or feasibility, has waned. An organization dedicated to simply promoting adoption and advocating for collaboration is no longer enough. Although the OSI will take on this work when needed, the upcoming decade will require adopting and contributing organizations to operate and engage authentically, ensuring interactions between projects and communities conform to established norms, best practices, and an open ethos if they want to successfully manage the emerging complexity. Helping open source users, developers, and communities here, will be an important role for the OSI in the third decade. New initiatives with institutions of higher education and professional development programs will allow those just beginning with open source or those working to address complexity, no matter what their role—developer, community manager, project/program manager, marketing professional, attorney, CIO, CEO or any other—to benefit from all the opportunities of software freedom. OSI Working Groups will be expanded. We will continue to invest in groups and projects that directly increase the awareness and adoption of open source, and build bridges between communities. But we realize, due to open source’s broad influence spanning many technologies, sectors, and industries, that we will need to extend the scope of our initiatives to address new issues, emerging from fields which we never anticipated impacted before, or simply did not exist. In the very near-term—and on a much lighter note—over the next year we will be celebrating: celebrating 20 years of open source and 35 years of software freedom. So along with our affiliate members, sponsors and some of the worlds most influential conferences, we're calling a big party and you're all invited. That big party starts on the 3rd of February, 2018—today—with anniversary celebrations throughout the world, the first are at FOSDEM (right now) in Brussels, and at Campus Party Brasil, in Sao Paulo (also right now). In addition to these events we will be hosting celebrations at other venues and conferences across the globe, at ACT-W, All Things Open, FOSSAsia, Linux.Conf.au, LinuxFest Northwest, OpenApereo, OpenCamps, OpenExpo, OSCON, Paris Open Source Summit, and SCaLE16x. In recognition of both OSI's and Open Source Software’s 20th Anniversary, and in order to begin our work for the next decade, we are launching the Open Sources Network (online via Opensource.net), which will serve both as a community of practice and a mentorship program for those addressing legacy issues of open source as well as facing the complexity ahead. The goal of the Open Sources Network at opensource.net is to further promote and support adoption of open source software over the next twenty years as issues shift from open source’s viability and value to issues around complexity and authentic participation. Development : How has open source benefited code development at organizations in terms of costs, quality, customization, security, support, and interoperability? How do organizations manage open source development/contributions? Business: What business practices align best with open source? How do companies collaborate with others to enhance products and services while creating new business opportunities? Brand Awareness: How have organizations’ commitment to open source helped promote their brand among the open source community, their communities, markets, and industries? Community Building: How has open source helped organizations connect with developers, businesses, non-profits, government, and/or educational institutions. Talent Nurturing: How has participation in the open source community helped organizations attract and retain the best talent? Open Innovation: How has open source, both from a legal perspective (e.g. OSI-approved licenses) and social perspective (culture of collaboration), helped organizations drive innovation? Leadership: What is the future of open source? What are the challenges and opportunities for the next 20 years within and across different organizations, projects, technologies? How will open source shape industry, and what role will organizations play? We hope you will join us in celebrating throughout 2018, but also join us in our work over the next decade. We've come an amazing distance from 35 years ago, and we’ve achieved so much over the past 20 years: we can all be proud of what we’ve accomplished, excited about what is yet to come, and committed to continued development. The future of open source belongs to us!